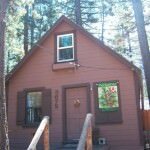 Price Changed to $199,900 in South Lake Tahoe! 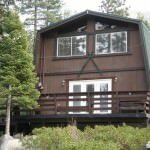 3672 Forest Ave South Lake Tahoe CA offered at $199,900In town, 3 blocks from Lake Tahoe you will find this Super Cute, chalet style cabin. Walk to beach, Farmers market, restaurants and coffee bar. Short distance to Heavenly Ski resort. This cabin has been recently renovated with new tasteful carpet and vinyl flooring. Interior was just painted and a new gas stove has been installed. Good size living/dining room, kitchen, bath and large bedroom are downstairs. Two bedrooms are...Continue Reading! 3920 Larch Ave South Lake Tahoe CA offered at $389,000Tahoe home in town, nestled on the hill, a perfect combo! Only minutes to Heavenly, casinos & Lake Tahoe. A lucky buyer will enjoy this spacious, well maintained home that is delivered fully furnished & includes a hot tub. Up on the hill, provides privacy and lovely views. The wrap around decks have multiple areas to relax & enjoy Tahoe. Bedrooms are oversized. Bonus room on main...Continue Reading! 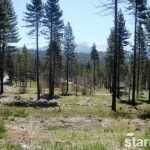 940 Cone Rd South Lake Tahoe CA offered at $189,000Build your dream home today! Beautiful property with Mountain Views. Great corner location on a cul-de-sac. Plans approved for a approx. 3,000 sq. ft. 5 bedroom, 3.5 Bath, oversized 2 car garage. 2 master suites with private decks, downstairs living, wrap around back deck, Mountain views from every window in an exclusive neighborhood with all new large homes. FIVE USFS LOTS across on Boulder Mt. Drive protect views looking towards...Continue Reading!